As I reached my ten year anniversary as a professional speaker, I realized there are many people who share the dream I had more than a decade ago of getting paid for public speaking. These up and coming speakers are seeking a path and looking for information on how to become a professional speaker. Business coaching for speakers is important for those who want to move from being a “public speaker”, to being one who gets paid to share their inspiring story with the world. This was me. I had been involved in Toastmasters for over 15 years before I went full time into the world of professional speaking. I had used my oratory skills in my jobs, and had fine tuned my skills as a motivational speaker. But to make the move into a full-time speaking career was scary. I was not sure when or how to take the leap, but I knew I wanted to do it. April 1, 2009 I was laid off in the midst of the Great Recession. There were no jobs available in marketing, and I decided to go for my dream. It was not easy, but eventually I figured out how to book speaking gigs, and I actively worked to create content that would have an impact on audiences. For over a decade I have now earned my living as a speaker. There are many people who say this, but some have other jobs that really pay their bills. 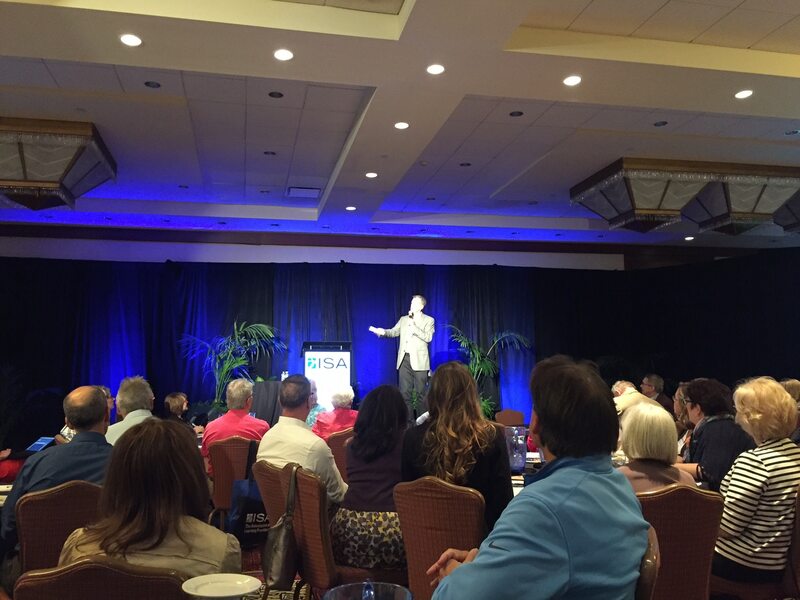 My business is purely speaking, training, and serving as a master of ceremonies at live conferences. While I had done some consulting projects, nearly 100% of my money has been earned for ten years has come from speaking engagements. Why Coach Others? And Why Now? My decade of experience in the speaking business has shown that there are too many people who are coaching wanna-be speakers who have never earned a real living from speaking fees. They have never been sought after or received standing ovations. They earn their income from coaching. While some of these people do have a deep understanding of the business, too many discovered they could make profits from cashing in on the dreams of others. There is a lot of bad information and pie-in-the-sky advice being handed out to people seeking careers as speakers. I do not believe that I have all the answers, but to earn a six figure income for ten years means I have done a few things correct. That said, I am not making a million dollars a year (not even close), but I do earn more than I did in my corporate marketing job of years ago. If you are seeking to learn about the speaking business, and want to hire someone to coach you to success, I say “Buyer Beware”. The first question I would ask anyone who is selling you a course or offering coaching services is to see their resume. Even if you are going to call me to see if I am the right coach for you, ask me a ton of questions and make sure you believe my answers. Offering business coaching for speakers is something I thought a lot about before creating this page. I have mentored many people and given advice freely for years. I love seeing others succeed. I am ready to partner with a few select speakers and share my perspective on what newcomers need to learn. I am also tired of the same advice being given to everyone, as no two speakers are the same. We vary on experience, topics, style, etc… I pay attention to dozens of successful speakers, and have found there is no cookie-cutter solutions to getting booked as a speaker. There are no shortcuts. Yes, there are some examples of people who have fast tracked to success, but most working speakers have spent years laying the groundwork and building their reputations. There is no fast pass to a career in the speaking business. Working with a business coach for speakers is a good idea, but most charge more than a new speaker can afford. My first advice is you have to start off as a good speaker. You cannot expect to get paid and learn the craft all at the same time. Organizations who pay for speakers expect you to be great on stage. The problem is many people feel they are good because after they present people tell them “great speech”. The problem with that is we live in a polite society, so “great speech” could just be words, as few nice humans would ever come up to you after a keynote and say “wow, highly mediocre”. Getting good takes time. I spend years in Toastmasters and speaking for free at business events in my hometown. I had given hundreds of talks, and beyond “great speech”, audience members were saying “Can I hire you to come into my company to deliver that talk?”. That is when you know you are ready. From the outside looking in people see the “speaking business”. But those who work as speakers know that there are many different type of events. It is as if there are eight or ten different business models for events (and speakers) and you have to know where you and your topic / subject line up. You are NOT the right fit for every event. Places people speak: high schools, colleges, churches, companies, associations, speak-to-sell conferences, etc.. Every week in the United States tens of thousands of people make professional presentations. Fees range from no money to hundreds of thousands of dollars for a single talk (if your last name is Clinton, Bush, or Obama). Many coaches give the advice that once you are paid, you stop speaking for free. I disagree. Speaking leads to more speaking. But how and where you speak for a waived fee is key. Do not speak for organizations that pay other speakers, and do not speak for “for-profit” groups, without getting paid. Have guidelines around what type of groups are the right place to showcase your talents. Most opportunities to speak (for free or for a fee) come from word-of-mouth and reputation. Throughout my career the majority of my talks have come from people who saw me speak telling others about me. Some have come through people finding my written content on social media, and then exploring my website. I finally figured out that I needed to have four legs to my business. Word-of-mouth, outbound sales, findability, and direct networking with people. If you are seeking someone to guide you through the hills and valleys of professional speaking who has lived it for over ten years (and is still working as a speaker), then we should talk. I am sure I am not the right fit for everyone. If you are expecting a fast path or some magic tools to fame, I am not the right person to provide your business coaching for speakers. I am still working to grow my business, but I have a legitimate track record of working for companies and associations. I have some ideas on what I would do if I was starting now (that is the other problem with many online courses, they are not up to date with all the changes happening in the meeting business). Working with me will include regular video calls, and homework between our meetings. When you present I will want you to record your talks and I will review them (and I will be critical if necessary). I will expect you to become active with the National Speakers Association (both nationally and locally). If you have read all the way to the bottom of this page, and you are serious about learning about the speaking business, then send me an email or give me a call. I can only coach two people at any one time (did I mention I am speaking at over 50 events a year). Let’s work on building your business. How to become a professional speaker / business coaching for speakers.